Halloween Horror Nights is a hard ticket event that takes place on select nights from September through November at Universal Studios Florida. From 6:30 pm to 2:00 am, the biggest names in horror come to life and you are faced with the task of surviving the night–if you dare. 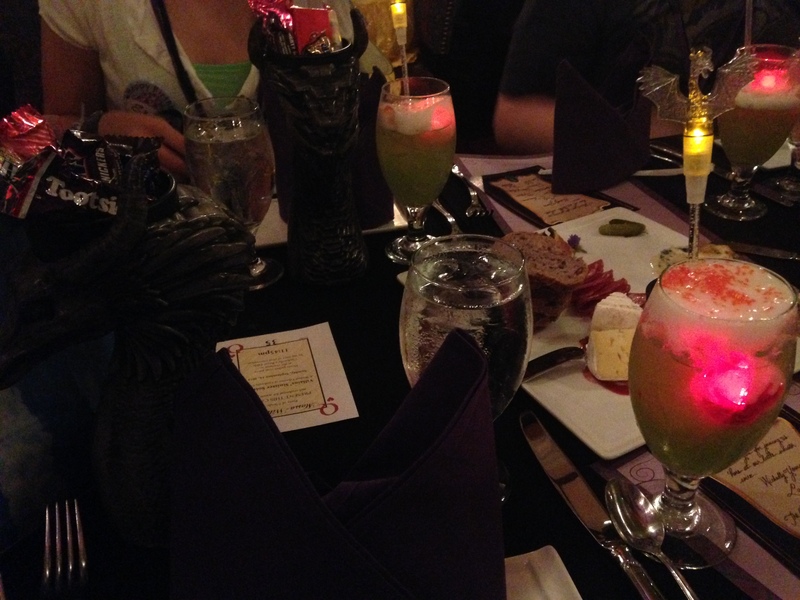 With this being my third straight year attending HHN, I decided it was time to share some tips on how to make the most out of your night and reviews of the houses I went into. Because I am a super scaredy cat, this was actually my first year going into more than one house, so I’m even more excited to share my experience! It is not enough to get there on time; you need to get there EARLY. My family and I arrived about an hour and a half early and we were literally the first people to enter the event (aside from VIP guests who had entered the park at an earlier time). 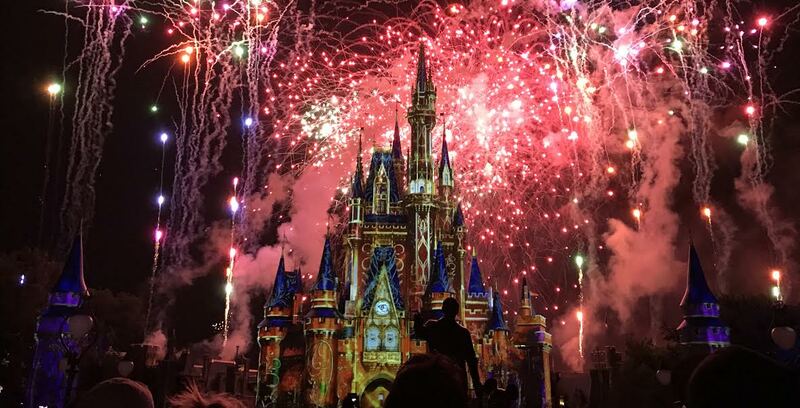 You want to arrive early because A) there is a pre-show that takes place before you’re let into the park and B) you get as much time as possible to get everything done. If you don’t arrive early, don’t expect to get into every house unless you have bought fastpasses (which, in my opinion, you don’t need if you get there on time and have a game plan). This brings me to my second tip. Look, you can go on rides any other day you visit Universal. And if you REALLY love Universal, I would suggest getting a day ticket as well as a ticket to HHN. This is why: You are paying anywhere from $59 to $79 on a ticket for this event, and while seven and a half hours may seem like a lot, in retrospect, it isn’t. There are eight haunted houses, four scare zones, and two shows. The lines for the haunted houses get long, and they get long FAST. If you waste time going on rides that are there year-round, you will not be getting the most bang for your buck. If you’re there for the houses, do the houses. You’ll be more satisfied that way. HHN has collaborated with AMC’s The Walking Dead for the third year in a row, which is what originally drew me into the event back in 2012. The house created for this year is the largest ever created for a HHN event, which, of course, makes it the headliner house. If you have any interest in going through this house (which you should, it’s phenomenal), then this needs to be the first house you go through. 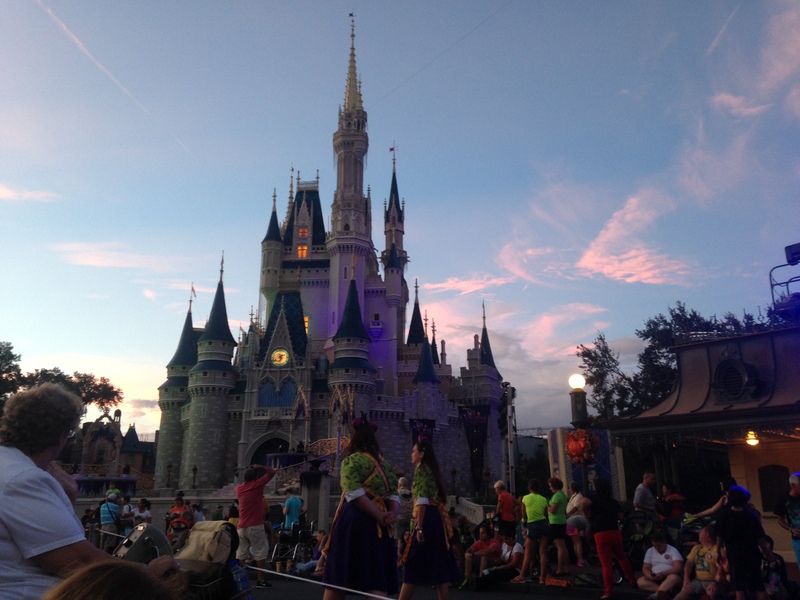 The wait time throughout the evening climbs to two and a half hours, and if you’re waiting that long for one house you will probably only get to experience two or three out of the eight. Trust me–DO. THIS. HOUSE. FIRST. It’s at the front of the park, so just make a beeline for it. This being the third time my family and I have attended the event, we’re pretty much veterans at this point. Since theme parks and theme park events are my thing, I always follow the social media accounts and read up on the events beforehand. This makes it a lot easier to devise a plan of action so that you aren’t standing around trying to figure out where to go next. Go to the event website, make a list of your must do houses, and then map it out once you’re there. 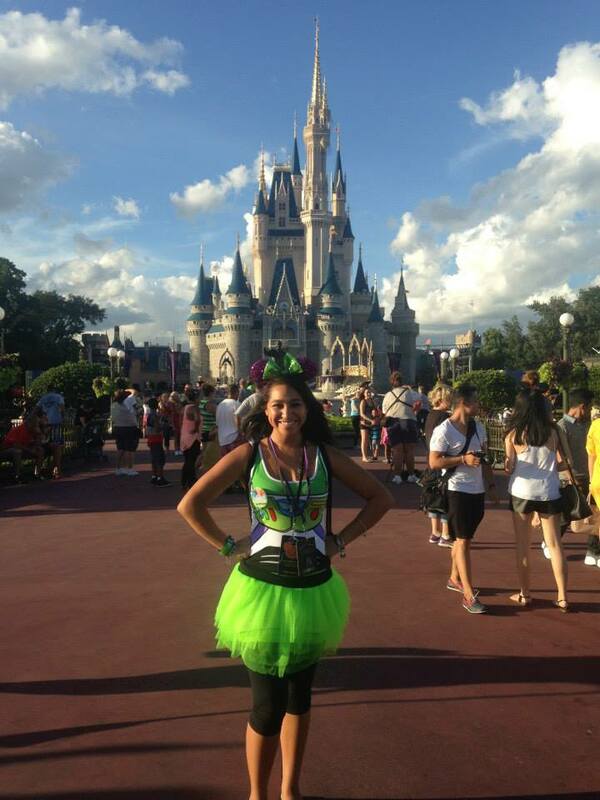 There are also wait times available online once you’re in the park, so be sure to utilize those as well. I know the houses are the best part of HHN, but don’t forget about the scarezones! It’s easy to just power walk right through them while you’re rushing to the next house, but you really should stop and experience them. For example, The Purge scare zone has a few ‘shows’ that they put on and if you walk right through, you’ll miss them. They really are worth watching (even though they freaked me out, but that’s why you’re there, right?). *Side Note: I only went into six houses so I will only do a review and rating for those six houses. I did not go through Giggles and Gore Inc. mainly because clowns sort of creep me out (thank you, American Horror Story), but also because I wanted to get a drink with my dad. Priorities, people. I am a HUGE fan of AMC’s The Walking Dead, and this house was absolutely fantastic. I know a lot of people were a little iffy about HHN bringing this back for the third year in a row (I wasn’t because I’ve loved it every year), but this was absolutely well done. I went from screaming to being in complete awe of the details and how visually stunning the maze was. The creative team did an excellent job of making the guest feel like they were walking through season 4 of TWD. I’m also always impressed with the makeup they do for their ‘walkers.’ They must watch a lot of episodes to get the makeup accurate, and boy, is it accurate. I don’t want to spoil it too much, but there is one ‘room’ that will make you disoriented and terrified–it’s the best room in any of the houses, in my opinion. If you go, you’ll know exactly what I’m talking about. If I could only do one house all night, this would be it. I know it would annoy some people, but I think they should bring it back next year because based on the season premiere of the fifth season, I can see them coming up with an INCREDIBLE maze. I’m just saying. While this house was not a favorite of mine, if you’re a fan of the movie (which I have not seen), then you’ll be pleased. As much as I hate being scared, I actually enjoy live scare actors and getting REALLY frightened to the point where curse words seep out of my mouth without my being able to control them. This house, however, relied heavily on animatronics, which were actually really impressive. This was another visually stunning house which I really did appreciate, and while I did jump a few times, it wasn’t on the same level as the other houses. 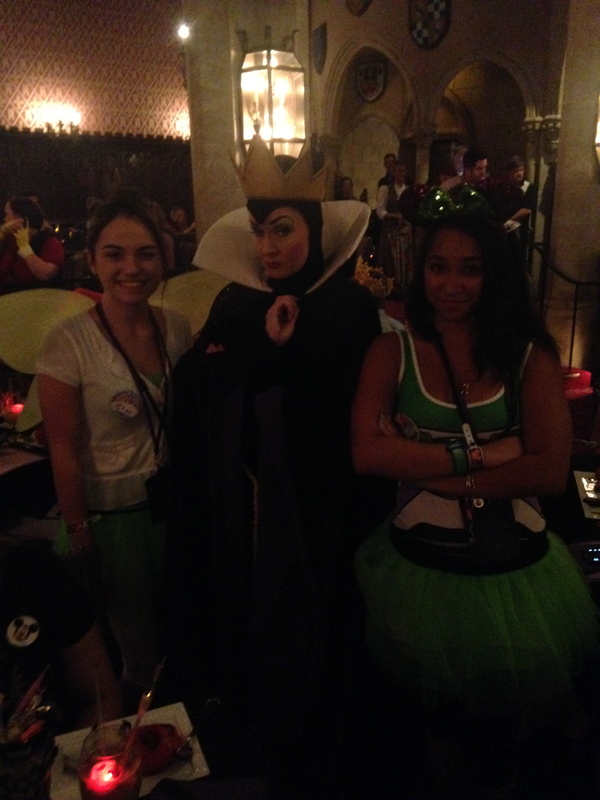 There were scare actors, but they didn’t ‘scare’ me so much as startle me, which really isn’t the same. It was a decent house, but not as scary as the others. What really gets you in this house is the weird string-like things that hang from the ceiling that you have to navigate through. It makes you feel like someone is touching you, which only adds to your distress. This house was very creepy. As a little girl, dolls are kind of a staple in your life. Even now, I still have several stuffed animals in my room and on my bed. In this house, your dolls come to life–and they want to kill you. Every little girl’s nightmare. There were a few things that REALLY got me, and any scare actor who is waiting for me around the corner is bound to make me scream. This gets a little bit better of a rating than AvP simply because I genuinely got scared a number of times in that house. I also loved the design of the house outside–really super creepy. This house gets a better rating from me than AvP because this was the first house I walked out of SHAKING. It was not particularly stunning, the makeup wasn’t to die for, and the idea of the house itself has probably been done a million times before. However, the scare actors were SCARY. They were not afraid to get as close to you as possible without touching you. Several actors nearly touched my face and came at me more than once. There was also an actor on the ceiling, and when I realized that, I ducked so low I almost hit the ground. The scare actors truly made this house what it was, but it wasn’t a favorite of mine. In my opinion, I don’t really know why everyone loves this house. Maybe it’s because I’ve never seen the show or movie the house is based on, but it just didn’t strike me as particularly scary. Yes, scare actors popped out of holes in the wall and behind scenery and such, and yes it startled me, but it wasn’t…scary. I have never seen Halloween, but that house scared me. Even AvP scared me more than this house did. If you’re trying to plan your evening and this house isn’t someone’s ‘must do,’ I wouldn’t even bother with it honestly. The only reason why this has a rating of two instead of one is because I did get startled, so the actors did something right. But other than that, this house was a dud for me. I saw the first movie and it definitely freaked me out a little, and this scare zone got me good. Chainsaws freak me out, and there were plenty of those. Creepy masks freak me out, and there was no shortage of those. The little ‘shows’ they put on really drew a crowd which made it even better. They ‘auctioned’ off people to audience members, and I liked the fact that they interacted with guests. Then they had the truck come by with ‘purgers’ inside and they went into the crowd and grabbed people and threw them in the truck. (The people were actors, don’t worry.) All in all, a solid scare zone, and probably my least favorite because of how scared I got, which I guess makes it the best one, right? One guy decided to follow me and scare me several times. I was pretty much done after that. This zone wasn’t particularly scary, but it was interesting to walk through. The costumes were beautiful, and the actors towering above you does add a little intensity to the area because they can swoop down right in your face at any moment and you really won’t see it coming (which happened to me a few times). It wasn’t my favorite scare zone but it was alright. This scare zone was my favorite simply because the makeup/costumes/masks were ON. POINT. I’ve never seen the show, but that didn’t stop me from taking pictures and really taking my time walking through this area. Not too many scares to be had, but it was really truly interesting. This area was a dud. The only thing that made it semi creepy was the amount of smoke. The smoke compromises your vision, you don’t see a scare actor, then they’re there, boom, you’re startled. But no one scared me in this area. The smoke just really bothered me. I know some type of show happens in this scare zone but we didn’t stick around to watch, so I can’t really comment on it. 1) Where is The Walking Dead Scare Zone? This is probably my BIGGEST hang up. I know last year the entire park was crawling with walkers instead of the traditional scare zones, and I know a lot of people disliked it. I was not one of those people, but that’s probably because I enjoy the show so much and I LOVED how well done the makeup and costumes were. But aside from that, I just didn’t understand why we didn’t have a scare zone for TWD. It was the headliner house because it was the biggest house ever created, it had the biggest banner in the front of the park, it’s the focal point on the limited edition pin, yet we did not have a scare zone. And yet, HHN in Universal Studios Hollywood had a scare zone AND a terror tram (which I hear is AMAZING). So, I’m confused as to why we also couldn’t put together a scare zone. 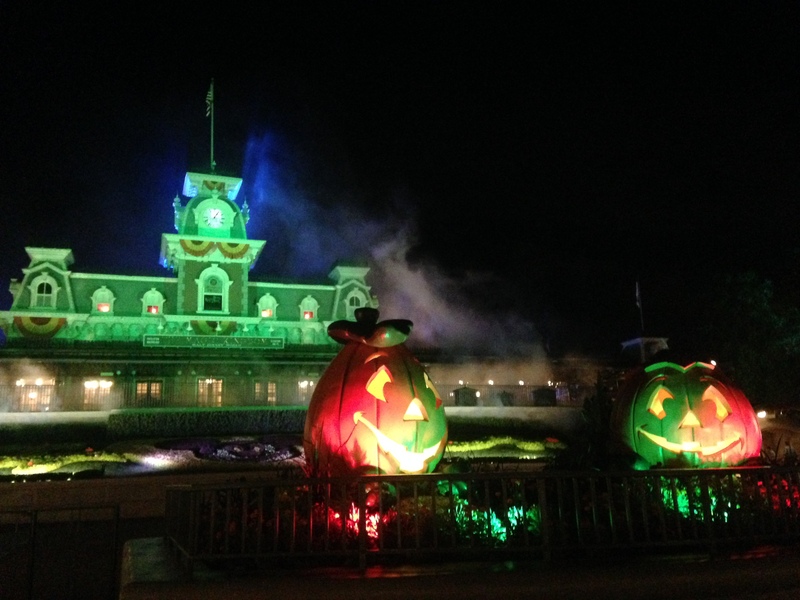 I think it would’ve done really well over some of the scare zones they chose to implement instead, but I digress. Every year they do a ‘welcome’ show/skit before they let you into the park. Last year, because the theme was TWD, the show obviously featured walkers. Smoke filled the streets behind the gate and from the smoke emerged a hoard of zombies. It was INTENSE. I was already shaking and we weren’t inside yet. Of course more than that happened, but I can’t recall. However, I do remember it being longer, and better, than the show this time around. It was quick, it wasn’t particularly scary, and I’ve seen it done better at HHN in California, so it did not meet my expectations. But, again, I digress. When I can walk through half of the park without coming across a single scare actor, we have a problem. I should be watching my back, no matter where I am. That’s another reason why I enjoyed it so much last year–while there were still certain ‘zones’, they were spread out across a vast amount of the park. This year, I felt that they were kind of all in one big area and then you were pretty much free from all terror unless you were going to a house. It was weird. 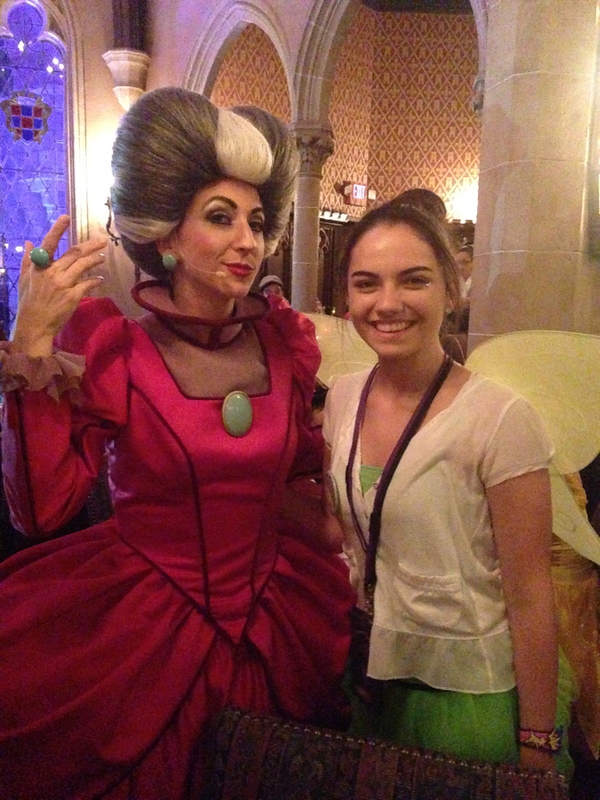 Maybe it was all of the digs at Disney that really bothered me, but this show just wasn’t as funny as last year. I found myself really bored and barely laughing. If you’ve done the houses you want to do and want to take a breather, then I’d recommend seeing it. Otherwise, it’s really not worth the time. 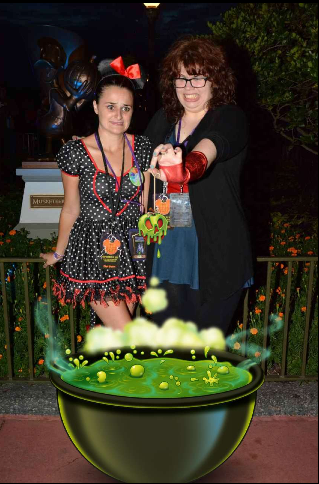 All in all, despite my few hang ups, HHN 24 was super fun and did an excellent job of keeping me on my toes and scared. This was the first year I actually made it through more than one house and I didn’t get chased by any scare actors, so for me it was a success. I can’t believe I’m saying this, but I’m already looking forward to HHN 25. 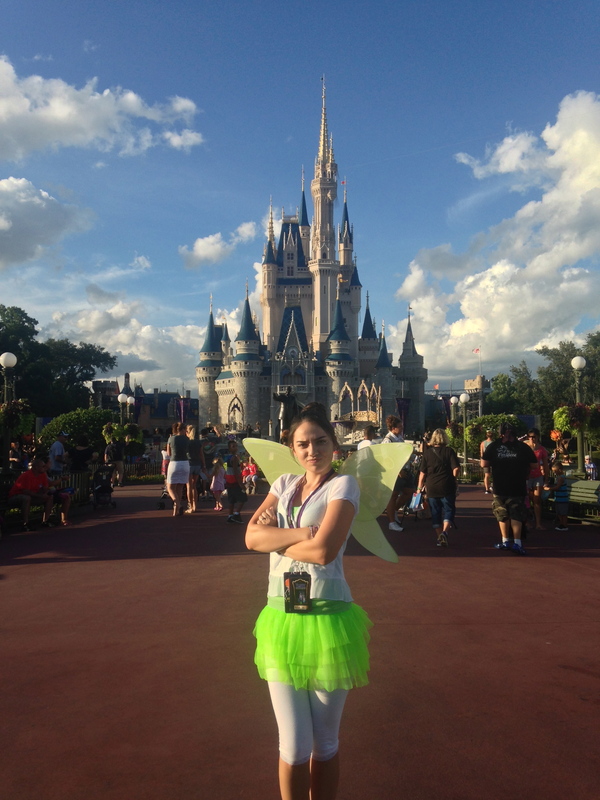 It’s really no secret that I love Walt Disney World. 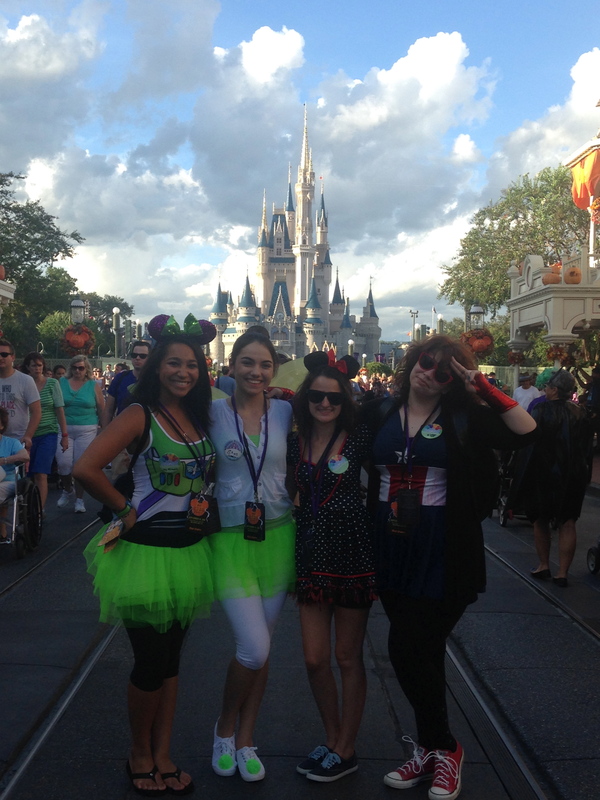 However, one of the things I love most about Disney is how different it is during every season. 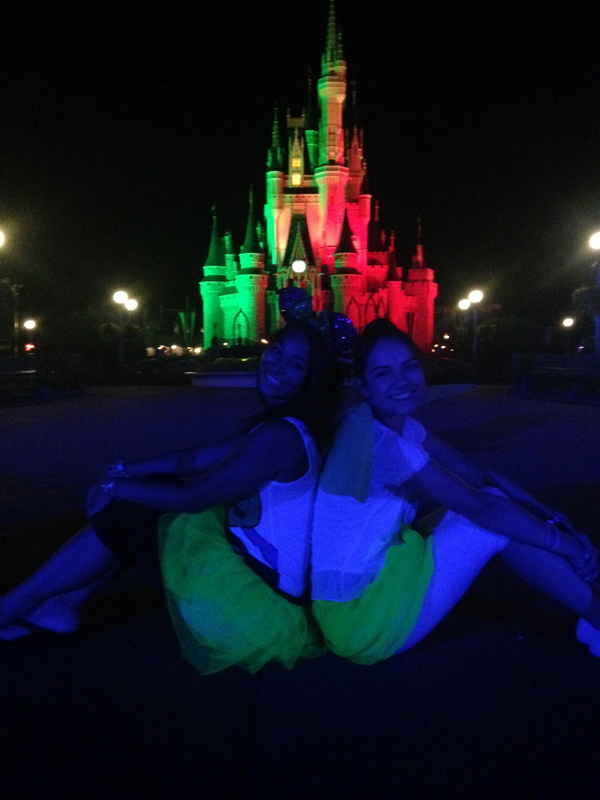 Last year, I went to The Magic Kingdom for Mickey’s Very Merry Christmas Party and thoroughly enjoyed myself. Christmas is my favorite holiday and the kingdom looks breathtaking adorned in Christmas decorations. Plus, who doesn’t love free hot cocoa and cookies?! 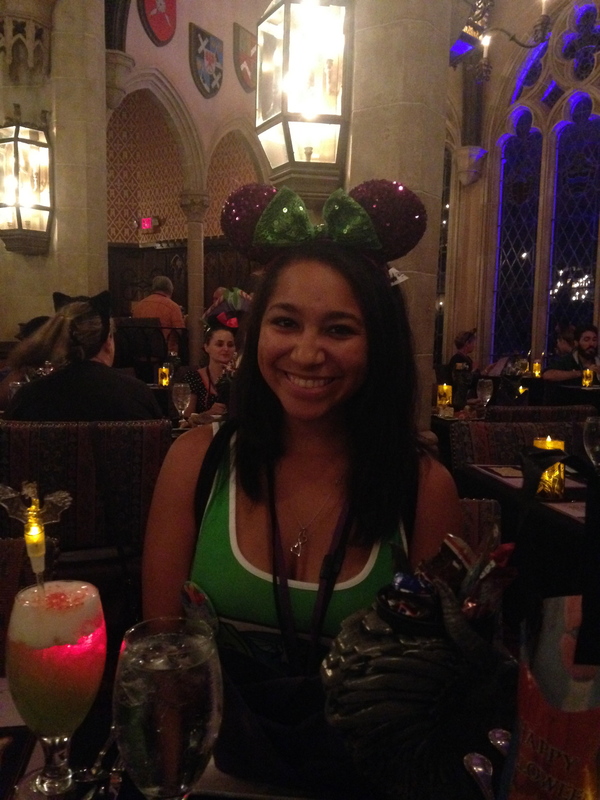 This year, I promised myself I would make it Mickey’s Not So Scary Halloween Party. 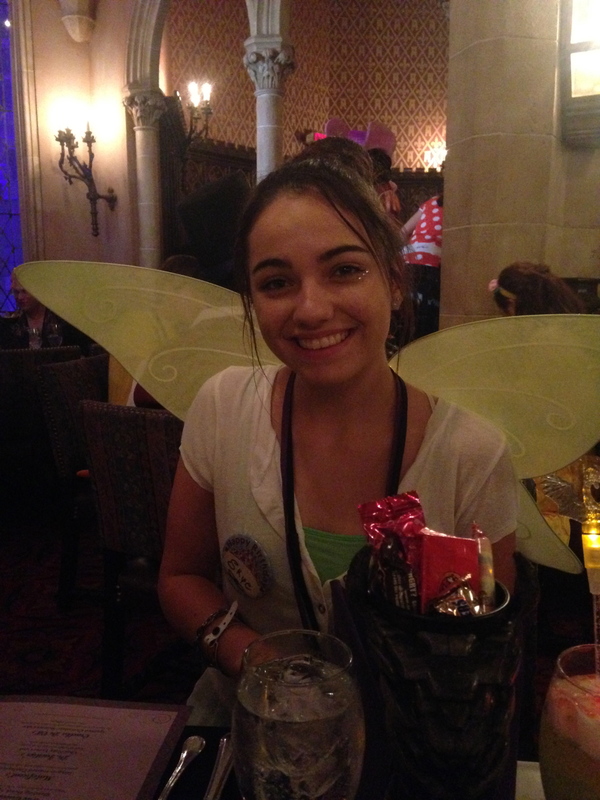 Not only did the idea of trick or treating in the kingdom and getting to dress up sound appealing, but my sister was born on Halloween, and I really wanted to take her so she could experience it with me. Unfortunately, the hard ticket event sold out for Halloween, her actual birthday, so I was forced to decide on another time I could take my sister. And then, something completely unexpected and magical happened. 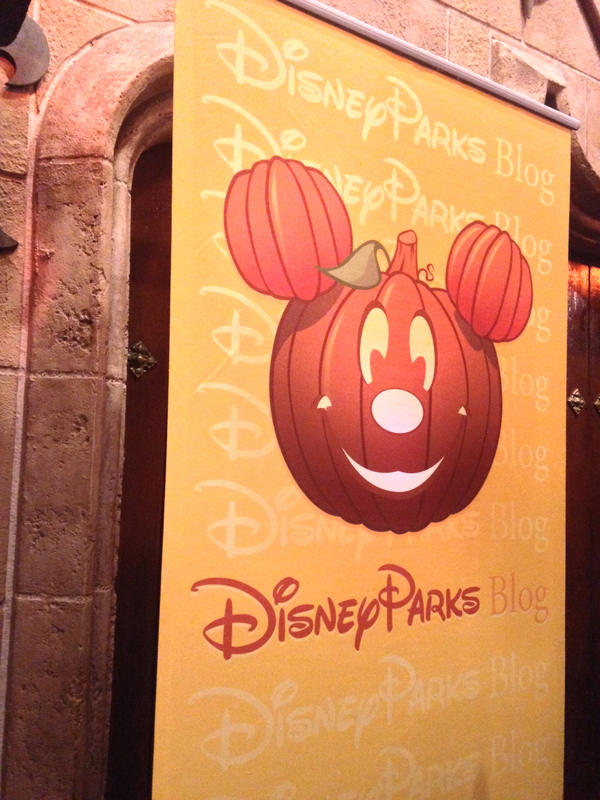 The Disney Parks Blog hosted a raffle on the blog site last Tuesday. The prize package? 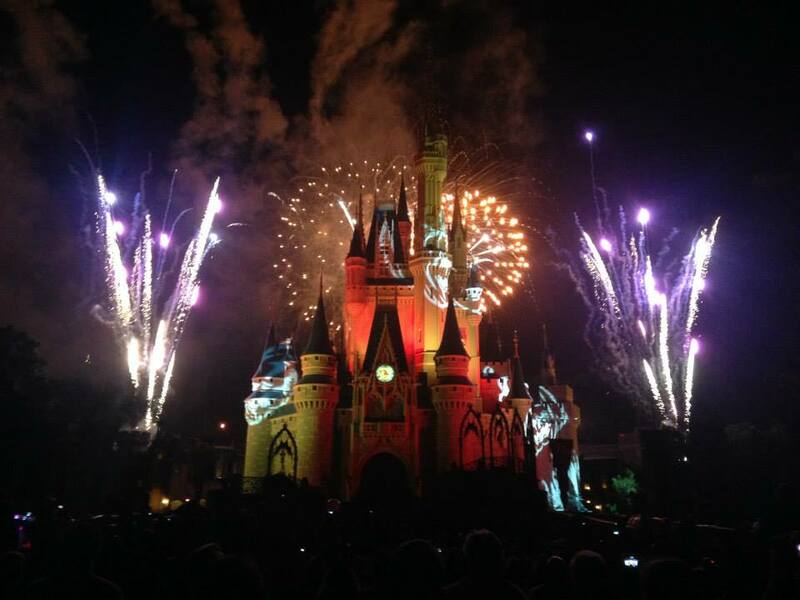 Tickets for you and a guest to MNSSHP and the Villains’ Sinister Soiree, a separate event where you have dessert and interact with various characters inside of Cinderella Castle. My friend and I both entered the raffle on a whim while sitting in class, not expecting to win. Fun fact: I NEVER WIN ANYTHING. Needless to say, I was beyond excited. 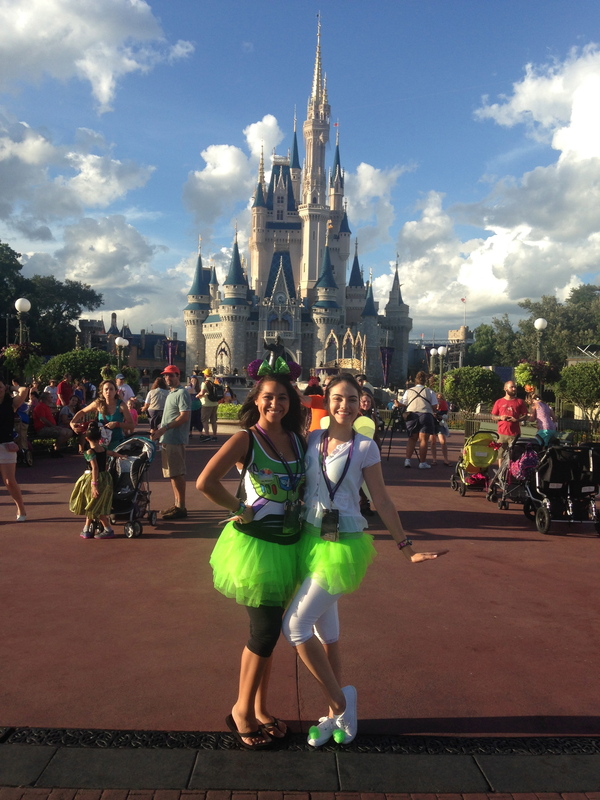 Not only was I able to take my sister to the event, but we were going to go INSIDE Cinderella Castle! It honestly felt like a dream come true. When we, my sister, my friend, her guest and I, arrived at the park on Sunday, we went to a table outside of the park to pick up our credentials (CUE EXCITED SCREAMS) and tickets. 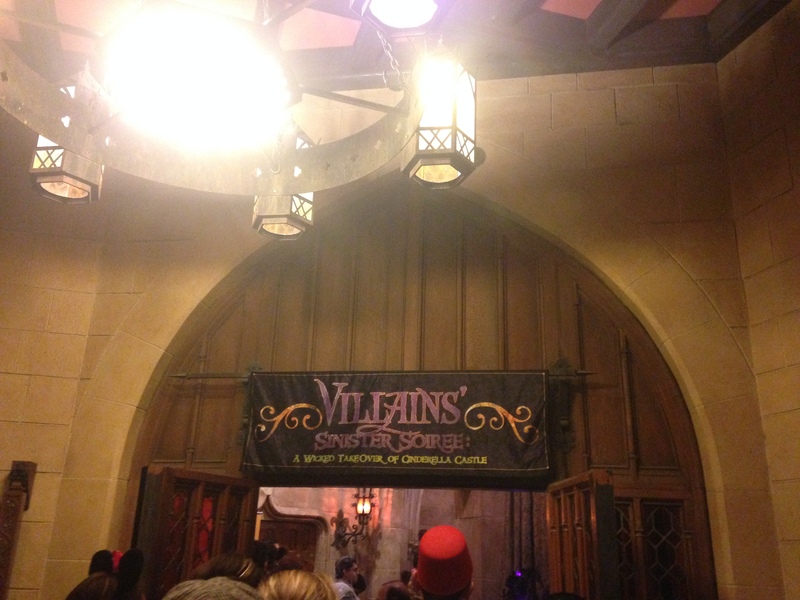 We then went to a separate area to get our invitations and credentials for the Villains’ Sinister Soiree. 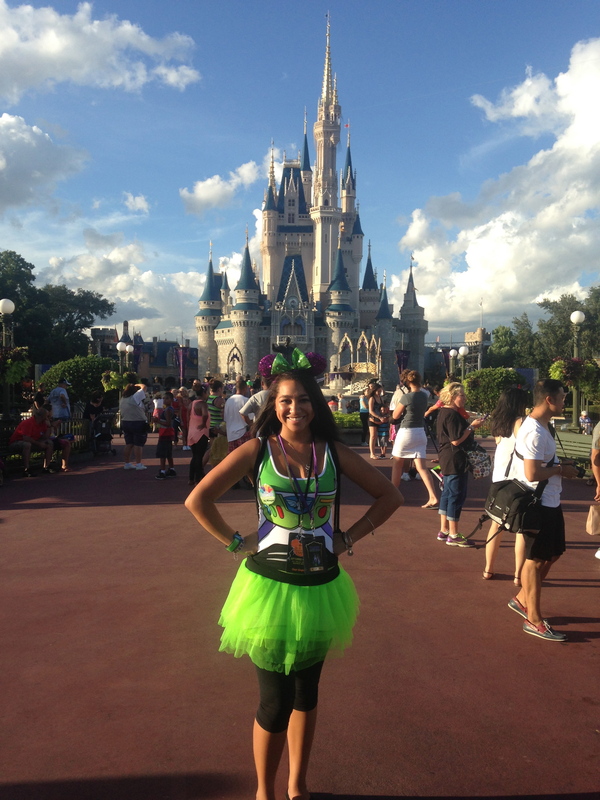 The minute we stepped into the park, I had to fight back tears. 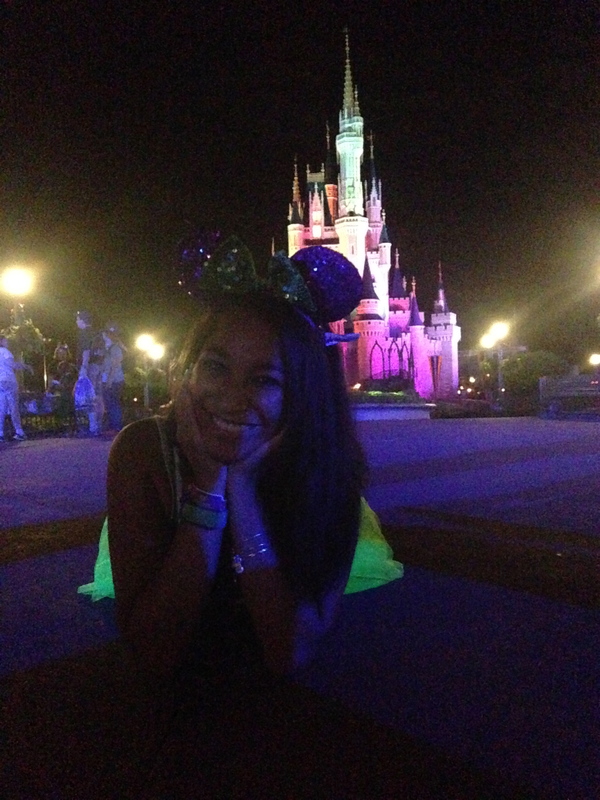 I was in my happy place and I was about to have a magical VIP experience. 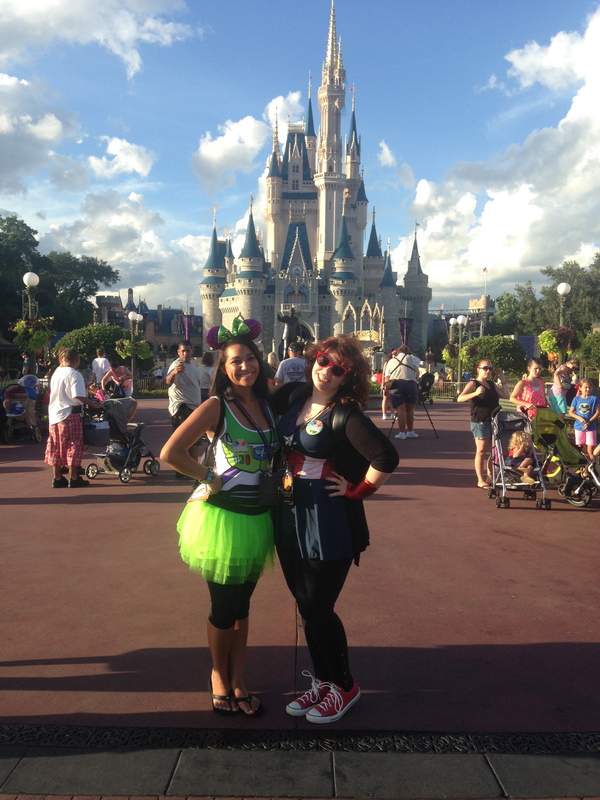 If you have never been to MNSSHP, put it on your Disney Bucket List. 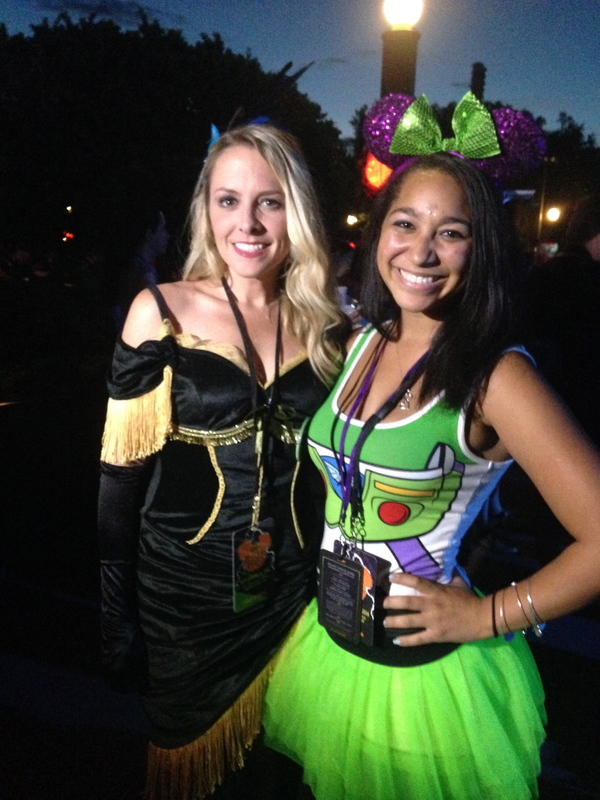 You get to dress up (I dressed up as Buzz Lightyear), you get to trick or treat around the park, the park is beautifully decorated for fall, and the wait times for your favorite attractions and meet and greets? SO. SHORT. 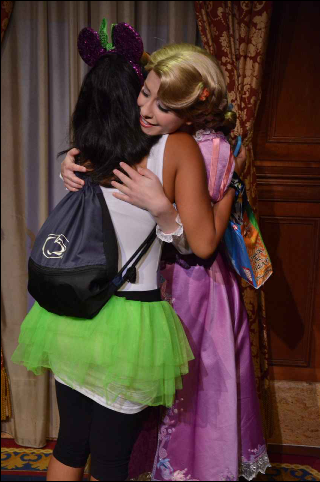 I walked right onto Space Mountain and Buzz Lightyear Ranger Spin, waited 10 minutes to ride the Seven Dwarfs Mine Train, and barely waited to meet Elsa and Anna (YES, no 2 hour wait time! ), Cinderella, Rapunzel, Ariel and Gaston. 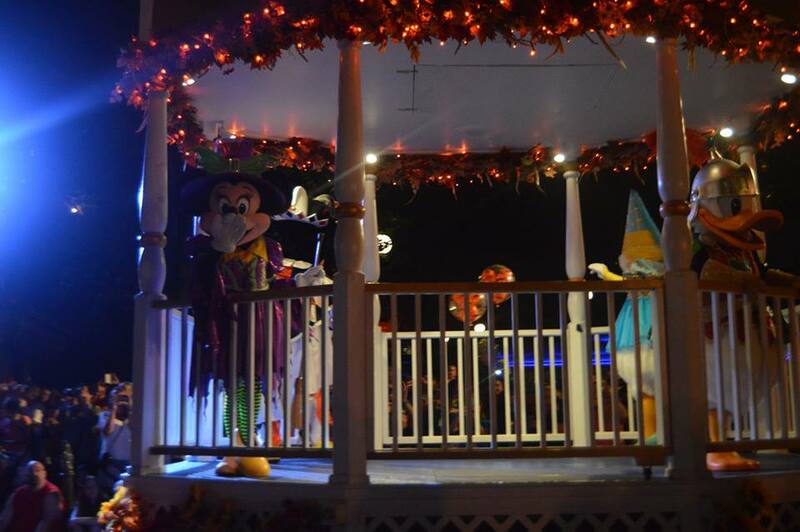 Along with getting to attend the Villains’ Sinister Soiree in the castle, you also get VIP viewing for the ‘Boo to You’ Parade, the Halloween themed parade, and HalloWishes, a jaw-dropping fireworks spectacular set to Disney Villain music. 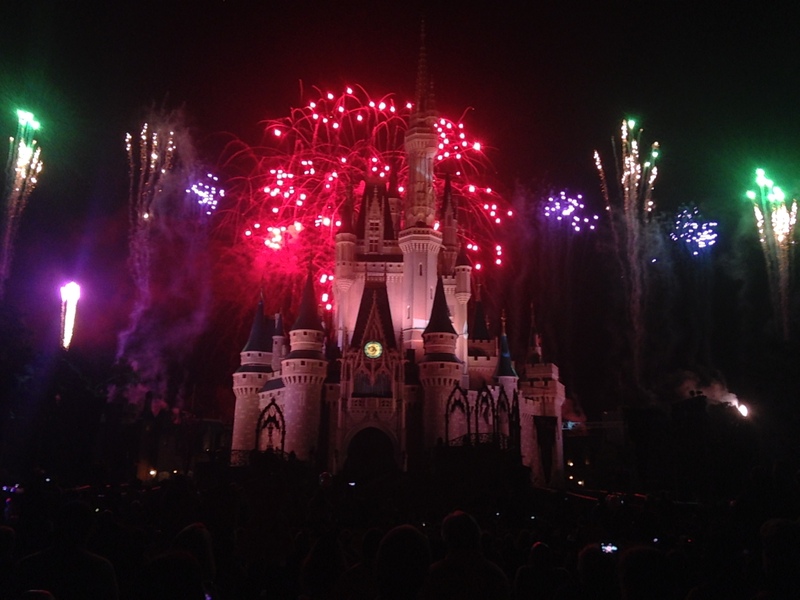 Honestly, HalloWishes may be my favorite fireworks display at Walt Disney World. It’s THAT good. 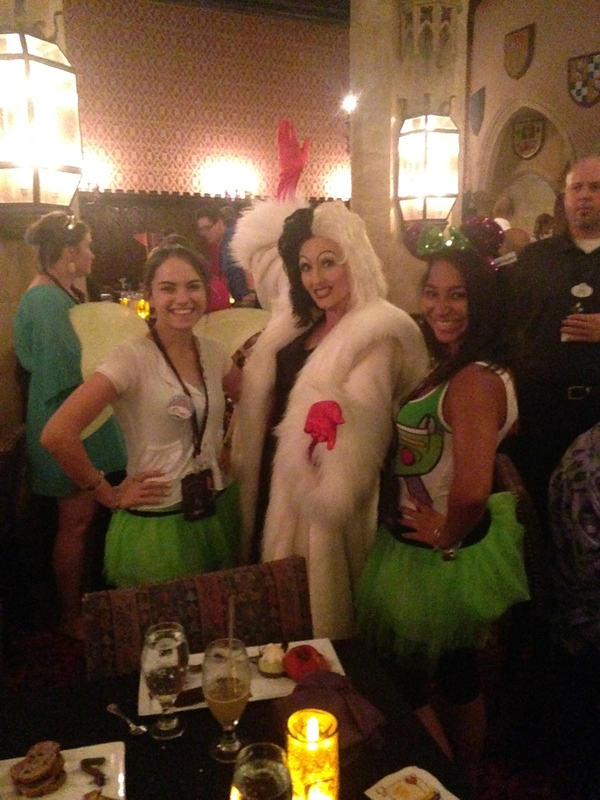 The Villains’ Sinister Soiree event was such a treat! 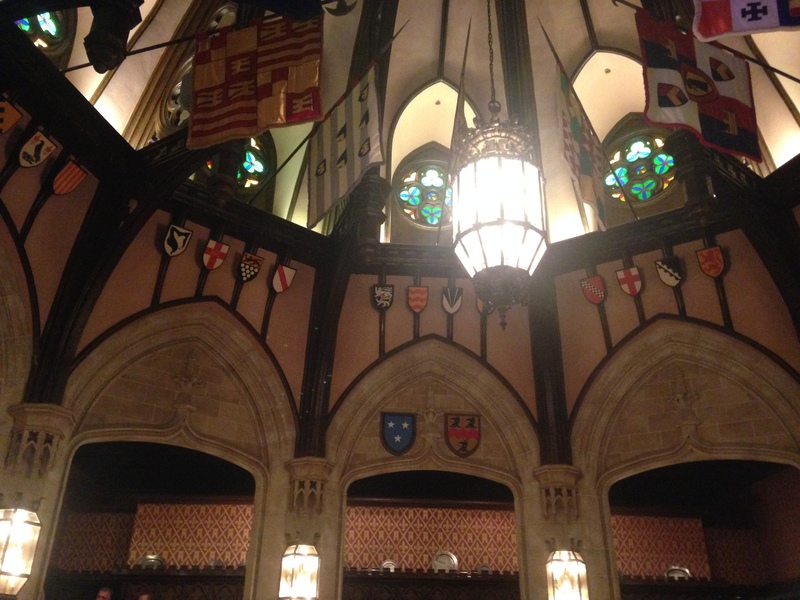 My first experience dining inside the castle was truly spectacular. 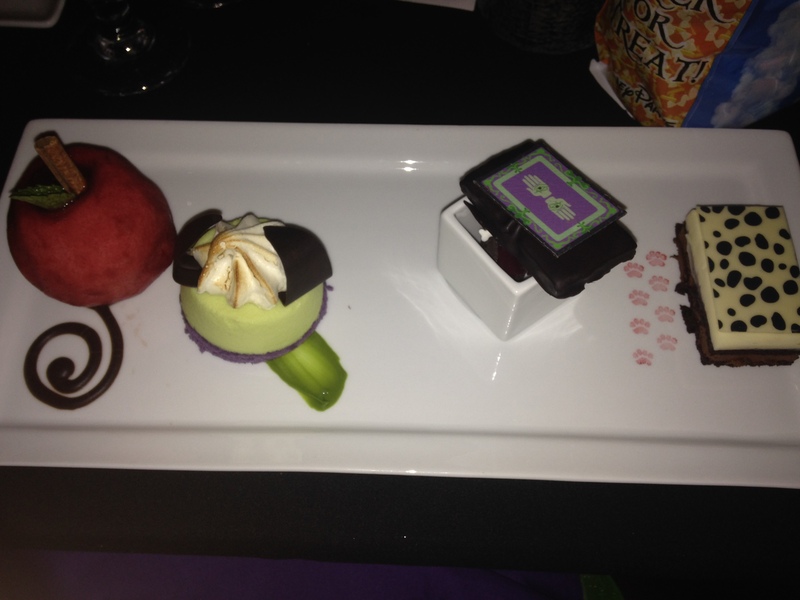 We had the most delicious desserts and drinks, mixed and mingled with some Disney Villains (including Lady Tremaine, Maleficent, the Evil Queen, Cruella De Vil, Dr. Facilier, Drizella and Anastasia), and went home with some wonderful souvenirs, including a Maleficent dragon cup, autograph card signed by several villains, several Disney Parks Blog posters and a Park Starz Vinylmation. Can I also just say that New Fantasyland is beautiful to look at from inside the castle?! So majestic. So regal. In addition to all of that, a few more exciting things happened that I’m really happy to share! Immediately after that, the Social Media Manager, Jennifer Fickley-Baker, and Merchandise Communications Manager, Steven Miller, came over and introduced themselves to us. Jennifer recognized me from my twitter account, @_brainy_beauty, and we talked briefly and even took a picture together! 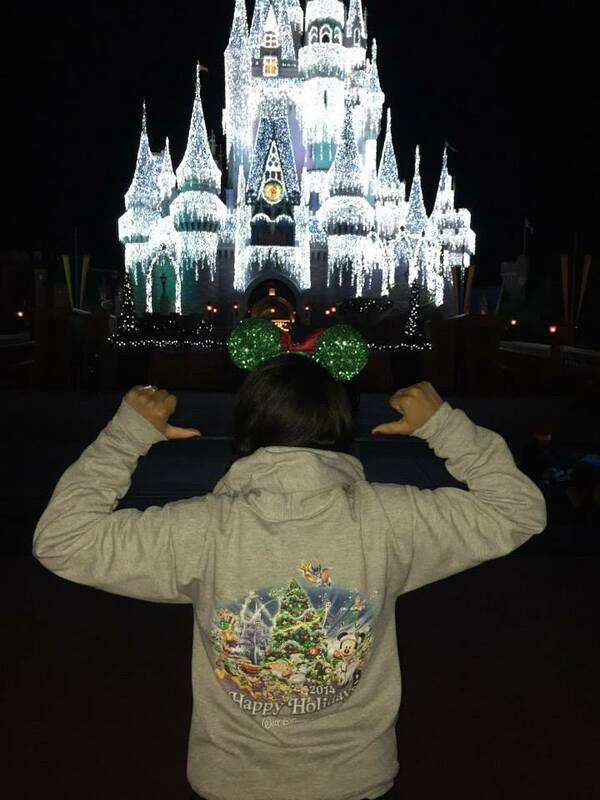 If you follow my twitter, you already know that my dream is to work in the social media/communications department for Disney, so meeting the social media manager was a big deal for me. A clip of us talking even made it into the video recap! FINALLY, the last super exciting thing that happened–my sister and I were interviewed for the video recap! We were interviewed by Drew after the event and asked about our evening. 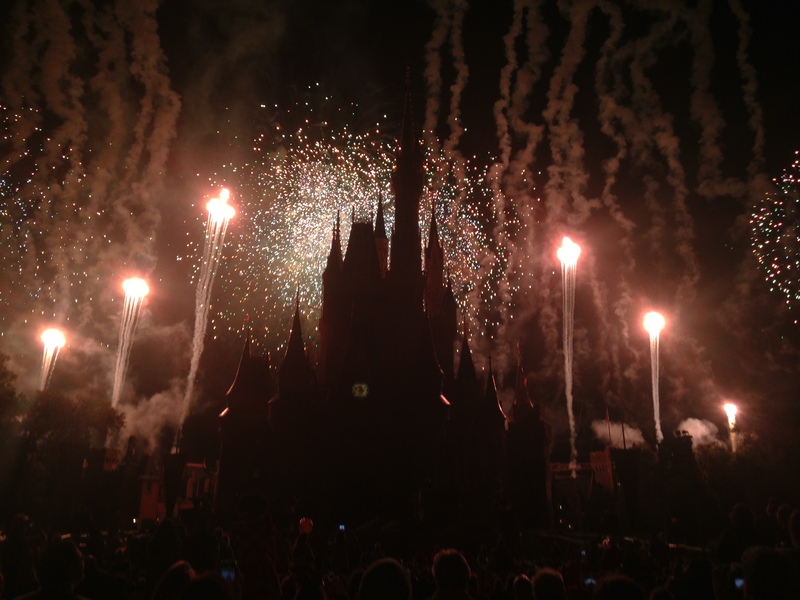 We gushed about the fireworks, our first time being in the castle, and how much we loved being part of this special event. 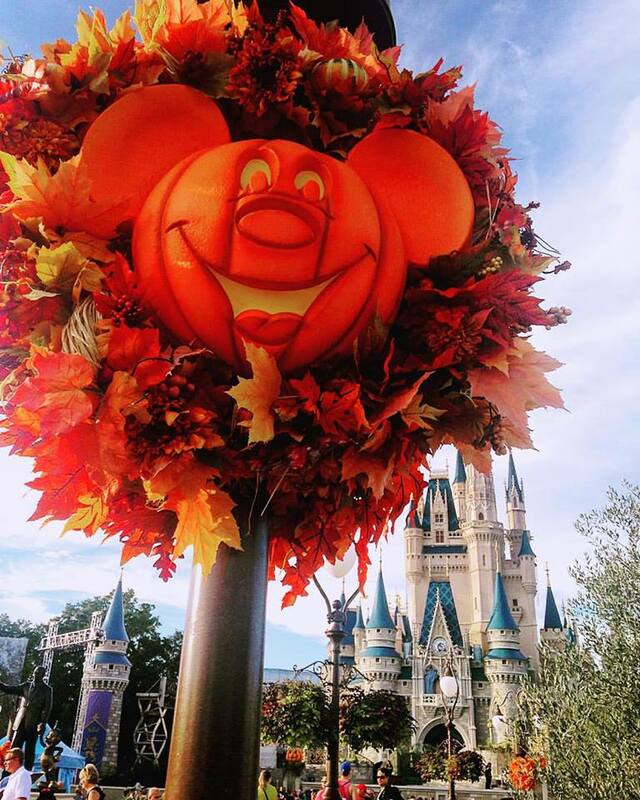 Mickey’s Not So Scary Halloween Party runs on select evenings through Oct. 31, which is already sold out. If you want to take part in this special event, get your tickets now! 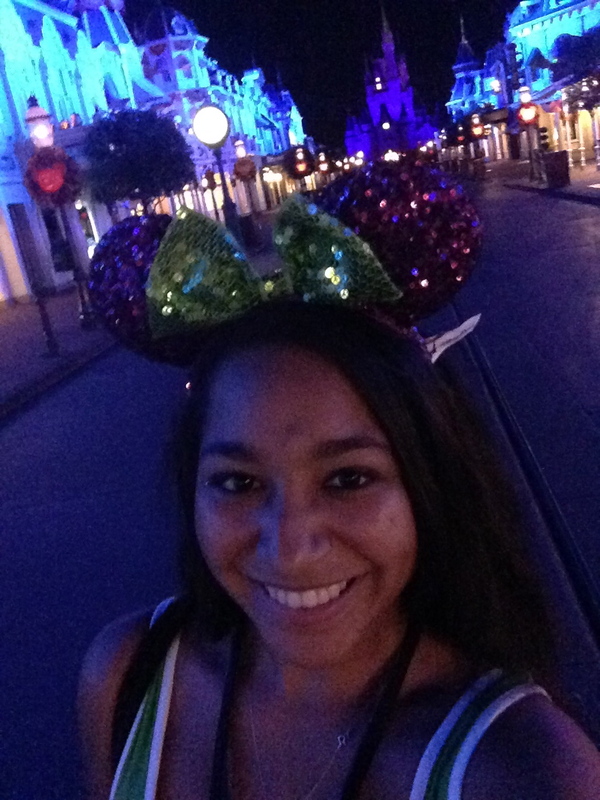 It really is one of the most fun times I’ve had at Disney and I highly recommend checking it out!